Abstract: My work seeks to provide an epistemological reflection on the discipline variously called history of religion(s), science of religion (Religionswissenschaft), or else comparative religion (vergleichende Religionswissenschaft). Through its history, it is the unconscious of the discipline that I seek to retrieve. To understand the rise and fall of the comparative study of religion, I call attention to transfers of knowledge between different countries and national traditions of orientalism, in what may be called histoire intellectuelle croisée. Starting with the Enlightenment, and up to the First World War, the long nineteenth century saw the development of the modern, non-theological study of religion. The new discipline was institutionalized through the creation of Chairs in various European universities. The ‘discovery’ of Sanskrit and of its grammatical similarities with most European languages opened new horizons also for the study of religion. Through a fateful fallacy, the existence of Indo-European (or else Indo-Germanic, Aryan) languages was assumed to entail the existence in the distant past of an Aryan people, and of an Aryan religion. The devaluation, as it were, of the cultures and religions of the former Biblical East, the Near East was also a consequence of the new interest in India, its languages, cultures and religions. In the new taxonomy of religions that took shape throughout the nineteenth century, Judaism and Islam, the two religions closest to Christianity, on genetic and structural as well as historical grounds, lost the privileged status that had for centuries been associated with monotheism. Such transformations were directly related to a major paradox of secularization: Jews and Muslims were now perceived as belonging to the Orient, not to Europe. It is in this context that the prominence of Jewish Orientalists, as well as their typical Islamophilia must be understood. 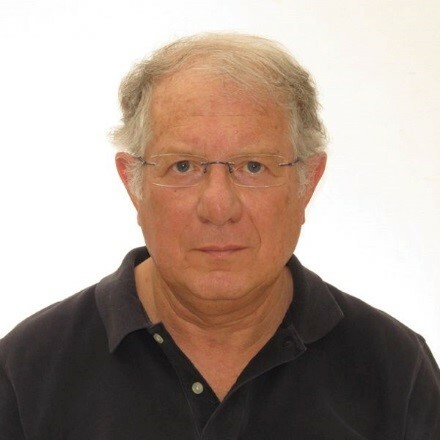 Guy G. Stroumsa is Martin Buber Professor Emeritus of Comparative Religion, The Hebrew University of Jerusalem and Professor Emeritus of the Study of the Abrahamic Religions, and Emeritus Fellow of Lady Margaret Hall, University of Oxford. He is a Member of the Israel Academy of Sciences and Humanities and holds an honorary doctorate from the University of Zurich. He is a laureate of the Humboldt Research Award, and a Chevalier de l’Ordre du Mérite. Author of fourteen books and more than one hundred and thirty articles, editor or co-editor of twenty-one books. Among his recent publications: The Scriptural Universe of Ancient Christianity (Cambridge, Mass, 2016), The Making of the Abrahamic Religions in Late Antiquity (Oxford, 2015), A New Science: the Discovery of Religion in the Age of Reason (Cambridge, Mass., 2010), and The End of Sacrifice: Religious Transformations of Late Antiquity (Chicago, 2009; paperback 2012; Original French edition, 2005; also Italian, German and Hebrew translations).